The Economist: “FOR many migrants who do not live in factory dormitories, life in the big city looks like the neighbourhood of Shangsha East Village: a maze of alleys framed by illegally constructed apartment buildings in the boomtown of Shenzhen, near Hong Kong. There are at least 200 buildings, many of them ten storeys tall (see picture). They are separated by only a metre or so, hence the name “handshake buildings”—residents of neighbouring blocks can reach out from their windows and high-five. The buildings are China’s favelas: built illegally on collectively owned rural land. Rents are cheap. An eight-square-metre (86-square-foot) flat costs less than $100 a month. They symbolise both the success of the government’s urbanisation policy and also its chronic failures. 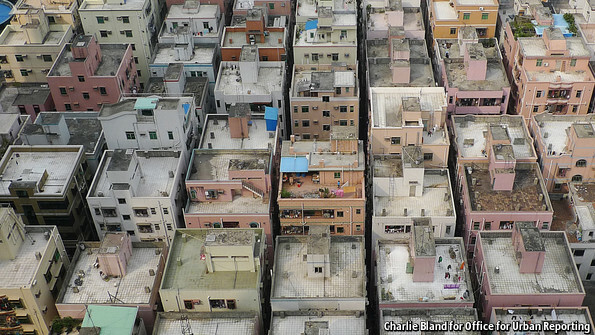 China has managed a more orderly system of urbanisation than many developing nations. But it has done so on the cheap. Hundreds of millions of migrants flock to build China’s cities and manufacture the country’s exports. But the cities have done little to reward or welcome them, investing instead in public services and infrastructure for their native residents only. Rural migrants living in the handshake buildings are still second-class citizens, most of whom have no access to urban health care or to the city’s high schools. Their homes could be demolished at any time. China’s new leaders now say this must change. But it is unclear whether they have the resolve to force through reforms, most of which are costly or opposed by powerful interests, or both. Li Keqiang, the new prime minister, is to host a national conference this year on urbanisation. The agenda may reveal how reformist he really is. He will have no shortage of suggestions. An unusually public debate has unfolded in think-tanks, on microblogs and in state media about how China should improve the way it handles urbanisation. Some propose that migrants in cities should, as quickly as possible, be given the same rights to services as urban dwellers. Others insist that would-be migrants should first be given the right to sell their rural plot of land to give them a deposit for their new urban life. Still others say the government must allow more private and foreign competition in state-controlled sectors of the economy such as health care, which would expand urban services for all, including migrants. Most agree the central government must bear much more of the cost of public services and give more power to local governments to levy taxes. Any combination of these options would be likely to raise the income of migrants, help them to integrate into city life and narrow the gap between the wealthy and the poor, which in China is among the widest in the world. Such reforms would also spur on a slowing economy by boosting domestic consumption. via Urbanisation: Some are more equal than others | The Economist. So far this labour shortage has not had a significant impact on the economy. But if ignored, it will. China continues to suffer a labour shortage in its key coastal manufacturing regions. This, no doubt, is impacting U.S. and other foreign companies operating in China. But the labour shortage is not due to a lack of available workers. Instead, it is prompted by Chinese government policies, as well as prevailing work and living conditions in affected regions. During the last two decades of China’s development, rural workers migrating to urban manufacturing regions have been the chief source of labour in coastal cities. 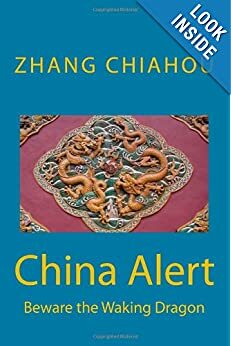 According to the Chinese government’s, own statistics, migrant workers have increased to more than 250 million from just over 60 million in the last 20 years. Many non-government organisations place this number at a more realistic 350 to 400 million. Two steps forward, one step back OR is it one step forward , two back? SCMP: “A former journalist who broke the story of the deaths of five street children in Bijie, Guizhou, a week ago has been sent on “a vacation” by local authorities trying to contain the fallout from the tragedy. Li Muzi, the son of Li Yuanlong, said his father had been taken away by the authorities at 1pm on Wednesday and put on a plane at Guiyang airport for “a holiday” at a tourist destination he did not want disclosed. Li Yuanlong, a former Bijie Daily reporter, has written four postings on Kdnet.net – a popular online bulletin board on the mainland – since last Friday detailing the circumstances that led to the five boys’ deaths in a wheeled refuse bin in Bijie’s Qixingguan district that morning. The victims, all brothers or cousins aged nine to 13, died of carbon monoxide poisoning after lighting a fire in the bin to escape the cold, according to an initial investigation by the city government. Follow-up reports by mainland media that accused the local authorities of failing to act on parents’ pleas about the five missing boys for more than a week triggered a huge outcry. Li Muzi said he spoke to his father around 9am yesterday and his father had asked him to delete a microblog entry he had written about the disappearance. He said his father was worried it could have a bearing on how long he would be kept away from home. Li Fangping, a Beijing-based lawyer who has asked the Bijie city government to provide more information on its handling of the boys before their deaths, said the local authorities had violated the law by ordering Li Yuanlong’s disappearance. “It’s the same kind of overkill in the name of stability maintenance that we saw in the lead-up to the Communist Party’s 18th national congress,” he said. via Guizhou man who broke tragic story of dumpster boys sent on ‘vacation’ | South China Morning Post. As usual, local authorities go against national strategy and interests. SCMP: “President Hu Jintao’s calls for faster reforms to the out-of-date household registration system face strong resistance from local government officials, the Jinghua Times reported on Monday. Household registration, or hukou, which covers every family in mainland China, records people as either town dwellers or rural peasants. Many blame it for causing discrimination against peasants who move to cities, where their identity prevents them from gaining access to services like health care and education for their children. At the 18th party congress, which continues this week in Beijing, Hu has called for faster reform of the registration system and expanded public welfare coverage for all citizens, whatever their household origin. But scholars say the reform effort is encountering strong opposition from local government officials, because it would unleash financially ruinous demands for social welfare spending, the Jinghua Times newspaper said. Hu Xingdou, a professor of economics at the Beijing Institute of Technology, said the state council has issued several orders for reforms since 2001, but they were blocked by fierce resistance at the local government level. Reforms bring heavy financial pressure on local governments, says agricultural economics scholar Zheng Fengtian. The social welfare costs needed to cover tens of millions of rural migrants, when they arrive in big cities, are too heavy for local governments to handle, he said. A blue paper from the Chinese Academy of Social Sciences forecasts that 500 million peasants will move from the countryside to the mainland’s cities within the next 20 years. Including them in social welfare programmes will cost between 40 trillion and 50 trillion yuan (HK$49 trillion and HK$62 trillion), it estimates. 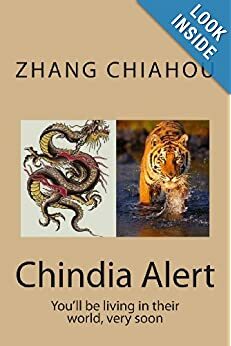 This situation will be especially intense in coastal regions, where the mobile population will surpass the number of city residents, Zheng added. Professor Hu said market mechanisms would solve the problems that concern local officials. “When [rural migrants] find cities overcrowded, and the unemployment rate and housing prices too high, they will eventually leave the cities,” he said. He warned that delaying reforms will only increase the risks, saying “what matters most is the central government’s determination on reform”. There are currently 271 million people in the mainland who are not living in the location of their household registration, according to the National Bureau of Statistics. via Hu’s calls on household registration reform face opposition | South China Morning Post.